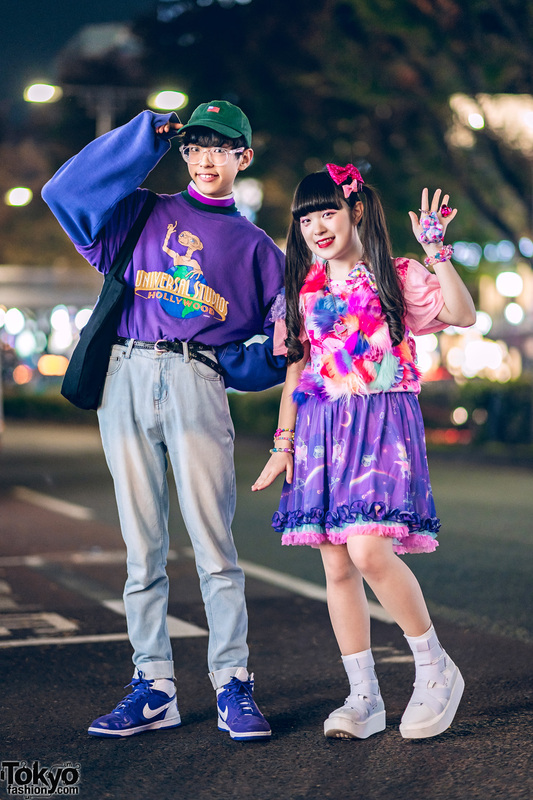 Just another quick update with info on, and pictures of, a Japanese fashion magazine. This time, the info is on the new issue of Steady magazine. The February 2009 issue of Steady Magazine has all of the usual features on Japanese hair, clothing, and makeup, street snaps, a special on chocolate for Valentine’s day, and lots of ads for diets and self improvement. Besides the usual stuff, though, this issue of Steady comes with a free bonus (aka furoku in Japanese) gift item featuring none other than Japan’s most loved cat – Hello Kitty. 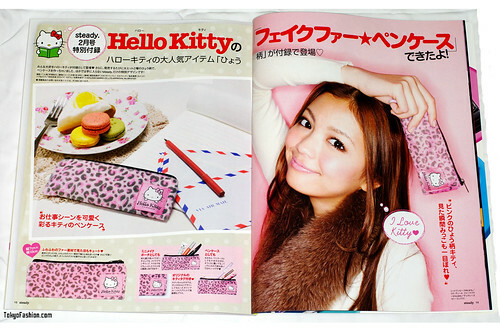 The free Steady gift item in the February 2009 issue is a fuzzy Hello Kitty pen (or pencil) holder in pink and black leopard pattern. The inside is a bright pink shiny material and it closes with a black zipper. 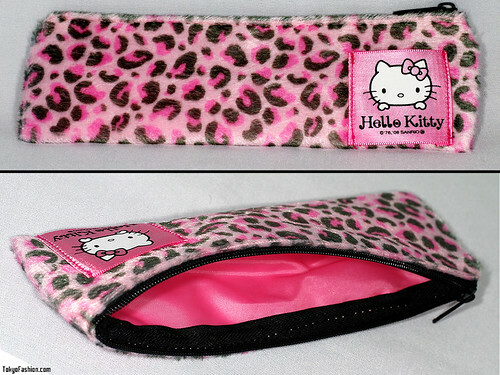 The size of the Hello Kitty pouch is 18 cm long by 7 cm wide. These pen holders are limited edition for this issue of Steady, so make sure to get one quick if you want one. More Japanese fashion magazine updates soon.